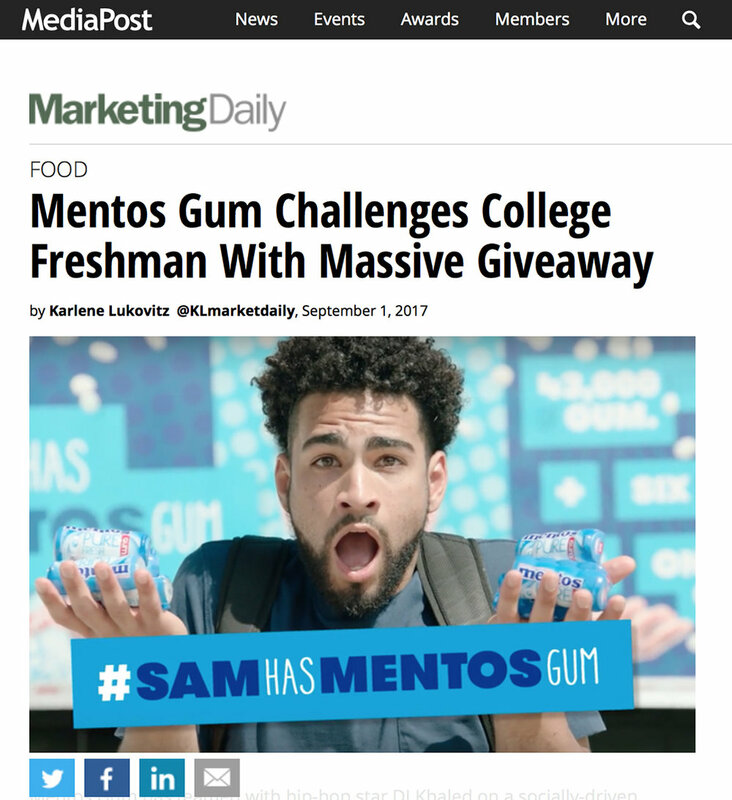 Mentos saw an opportunity to make an impact by recruiting freshman Sam as a brand ambassador to hand out 43,000 bottles of Mentos Gum at the University of Wisconsin, Madison. The challenge was how to document more than 20 events in a 10 day span, upload all of them in real time and create a global social media phenomena. 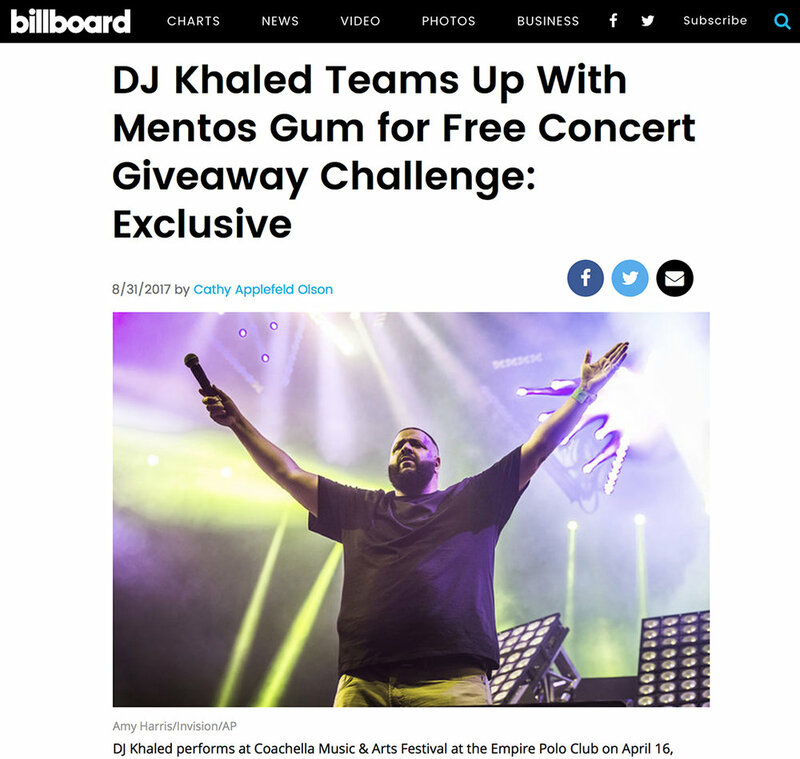 The strategy: no obstacle will stop Sam from handing out Mentos. Mike headed up a team of 15. He wrote and directed 21 videos in 10 days capturing this epic event. 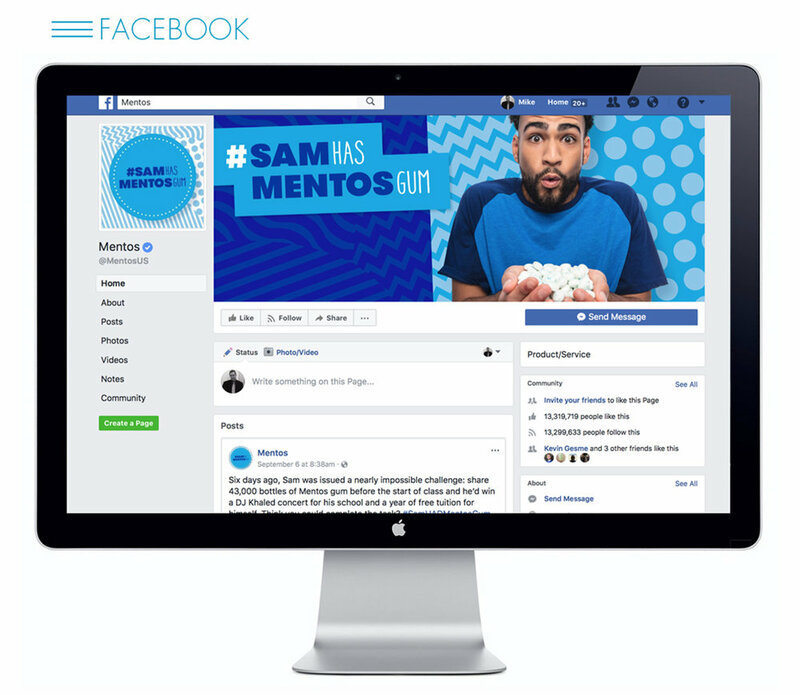 The campaign was a major success as Sam gave out all 43,000 bottles of Mentos Gum with the first video alone capturing 2 million views in a day.